Do you feel uncomfortable after driving for a long time? Do you have back pain and waist pain? 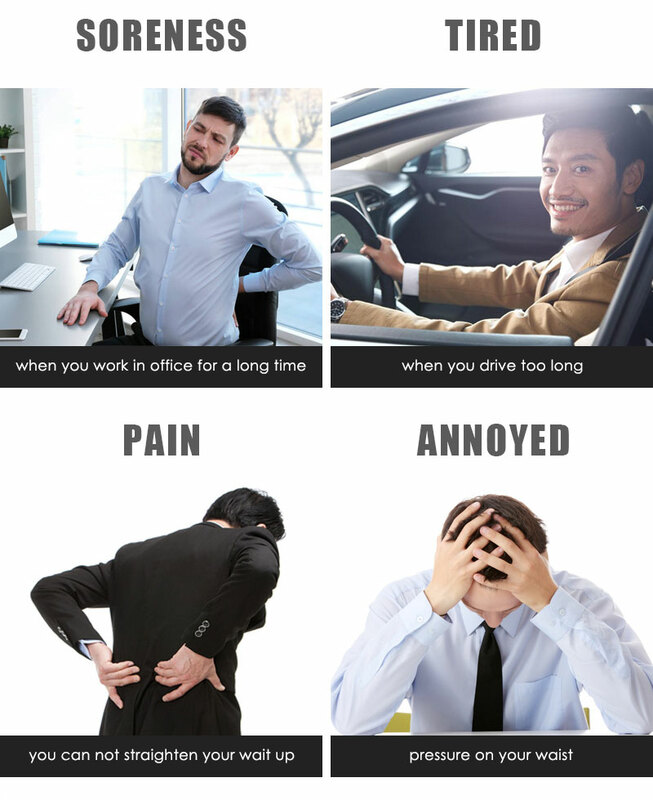 Millions of people around the world work and drive in uncomfortable sitting conditions. 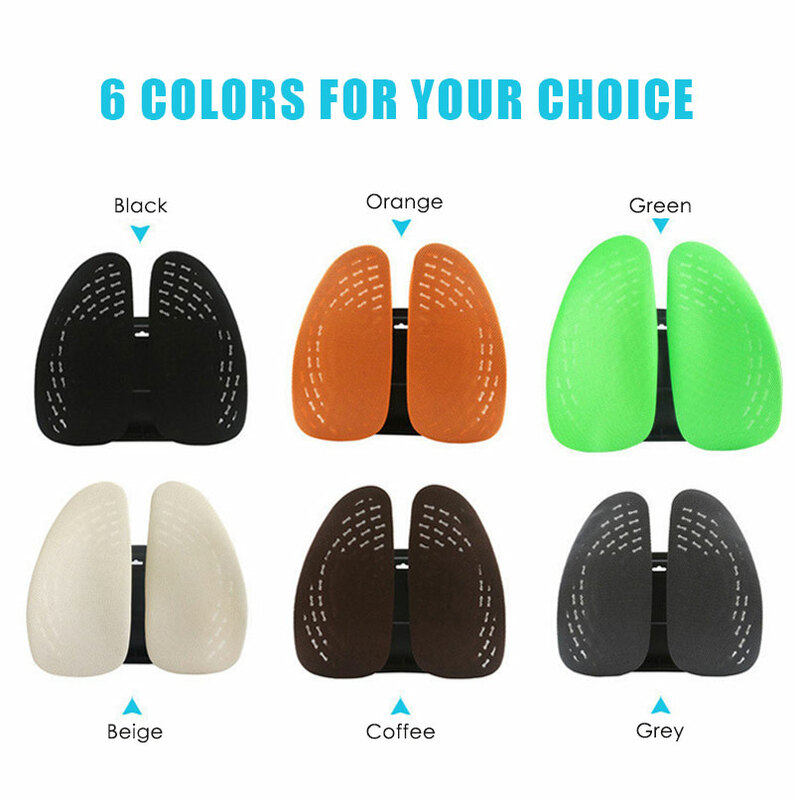 Thus, they develop problems such as back pain, spine misalignment, poor blood circulation, neck pain and many other posture-deforming conditions. 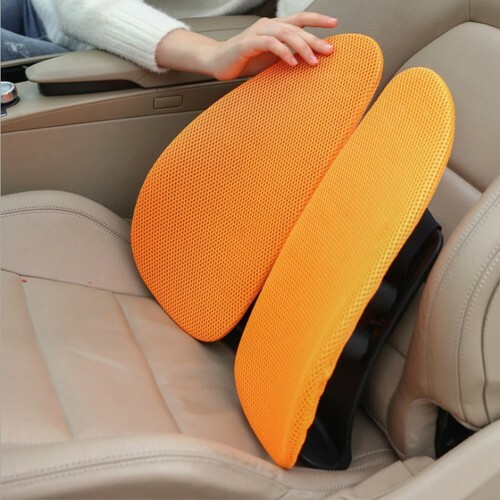 Let this lumbar support seat cushions help you maintain proper posture by streamlining the “S” curve of your spine for proper alignment. And its breathable vent design makes you get rid of the sultry and impermeable cushions. 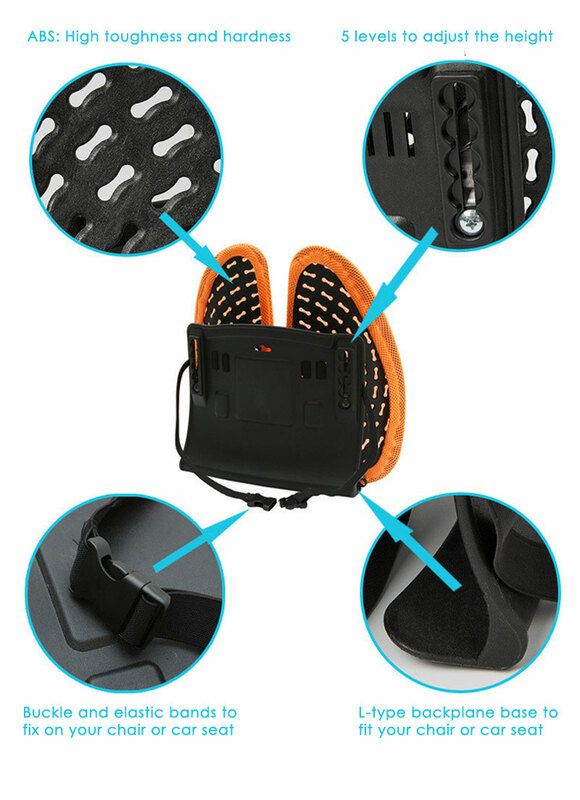 With humanized design, it can help protect your lumbar spine and gives you a comfortable experience. Enjoy driving! 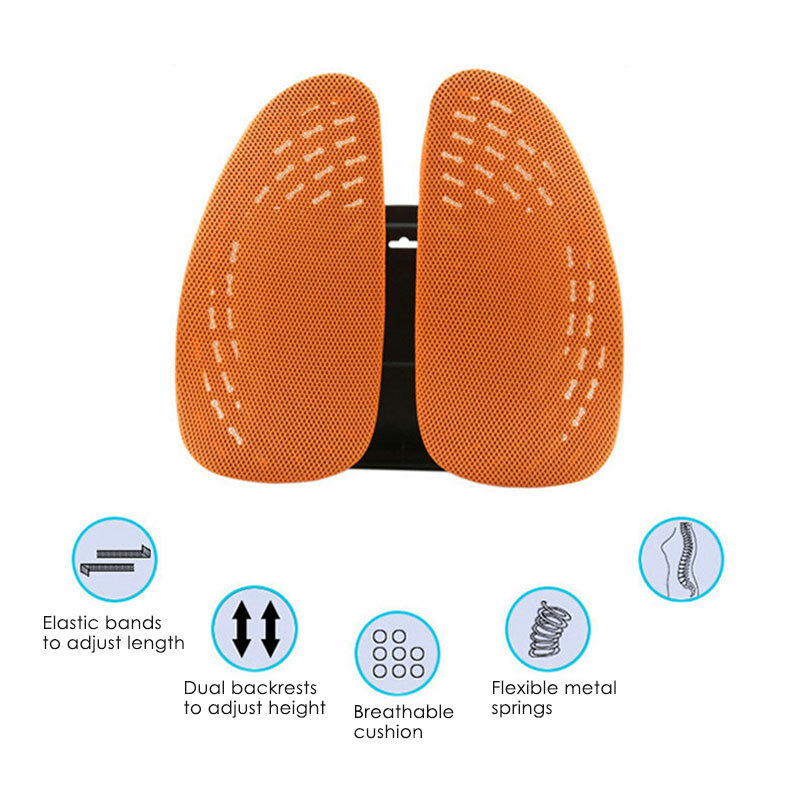 The cover of our lumbar support is made of high-quality mesh fabric for optimum ventilation and circulation of air, thus keeping the unit free of moisture and bacterial build up. 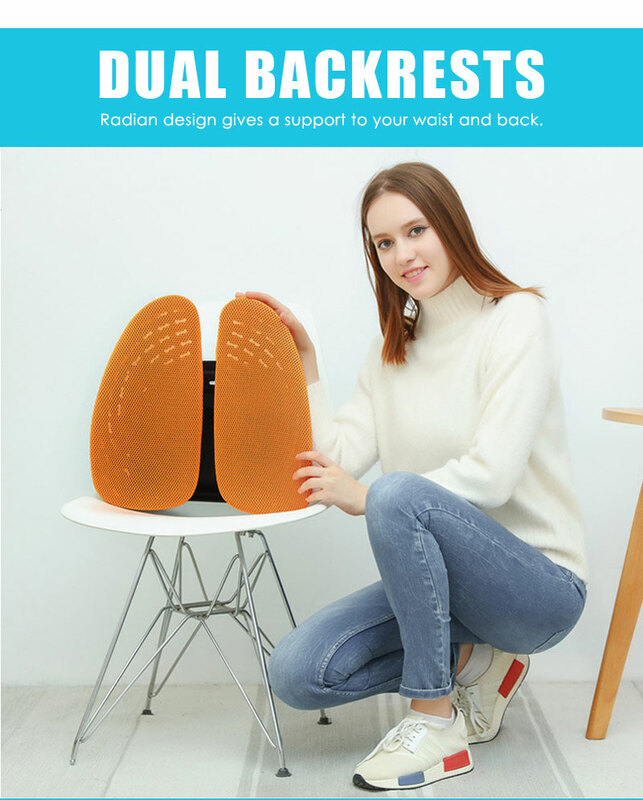 It’s contoured and orthopedic design support your lower back, reduce fatigue, soreness from oppression, relieve pressure by 50% and correct your posture. The breathable mesh will keep you comfortable. 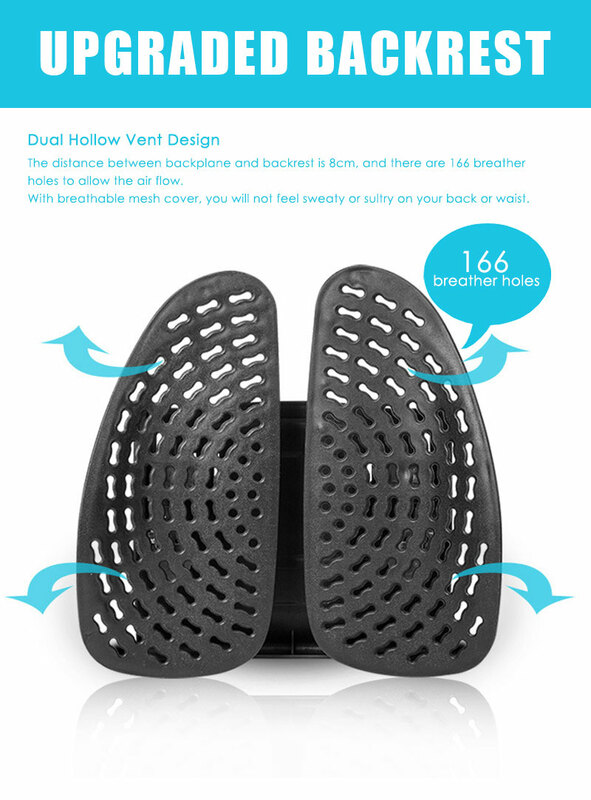 It fits the shape of your spine, and provide support without putting unwanted pressure on any muscle groups. Multi-angle adjustment to wrap your waist, the elastic bands are durable and compatible with any chair for lasting performance. The mesh cover could be took off and washed below 40℃.